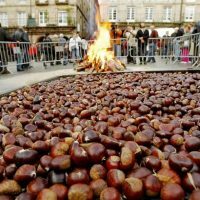 Ourense has an important festive tradition structured throughout the whole year, whose origin comes from the agricultural culture and the passage of the seasons: primitive rites with which to conjure up the elements and to propitiate the good harvests. Rites that over time would be merging with the Christian religion, taking on new meanings and adapting to the times. Today they have become an expression and reinvindication of a different way of understanding life, of celebrating it. 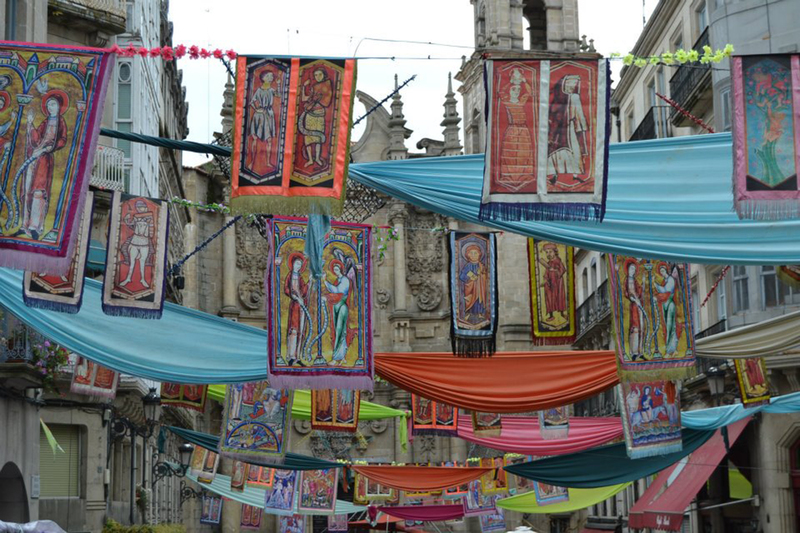 Day and night, alone or in company, the feasts in Ourense are lived in the streets. 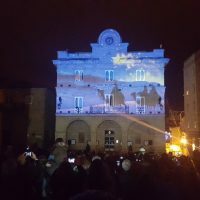 At this time the streets of the city are illuminated with colorful lights encouraging to visit the nativity scenes, some of them really interesting like Baltar’s Nativity Scene, at St Cosmas’ Square. Christmas is celebrated in Ourense from the days before Christmas Eve (December 24th) to the Epiphany (January 6th), which is celebrated the day before with the parade of the Three Wise Men in the streets of the city centre after arriving to the Junction Station. In some villages, such as Oira, the celebrations continue until St Maurus, on January 15th. 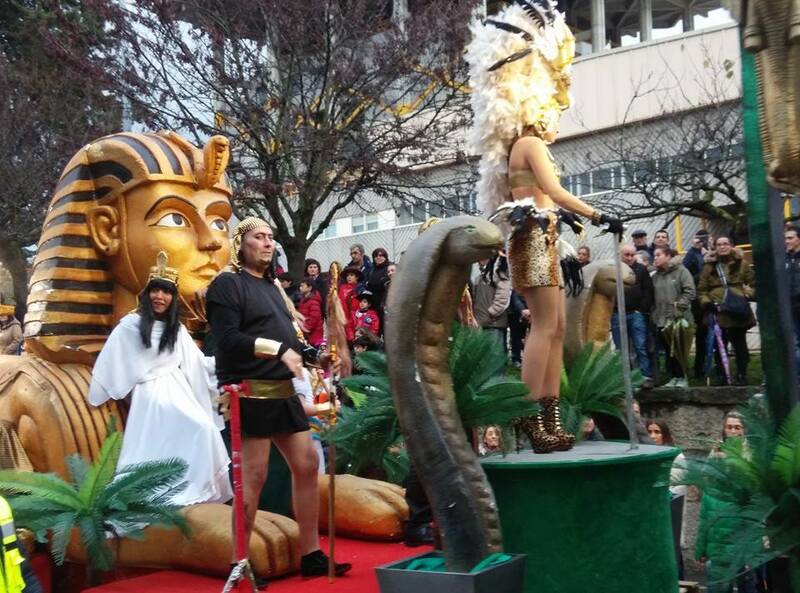 A feast of subversion and good humour, the Entroido (Carnival) is a very traditional celebration in Ourense, as it kept being held despite prohibitions in past times. 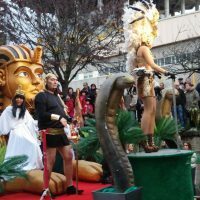 The province concentrates up to seven carnivals declared of tourist interest, making the capital the perfect starting point to discover them. It is obligatory to always wear a disguise, whatever it may be (otherwise, you risk to have to pay for rounds at the bars) and to taste the typical product of these dates, the ears, which can be sweet, made with eggs and flour, but also made of pork, cooked and seasoned with salt and paprika. For carnival lovers, a “Summer Entroido” is also celebrated in September. Dozens of stalls with doughnuts installed in the central St Lazarus’ Park indicate the arrival of this holiday, a prologue to Easter. 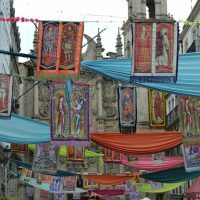 The festival combines the religious celebrations (procession included) with the curious spectacle of the burning of the madamitas: figures of wire and paper stuffed with gunpowder made to be exploded while they spin frantically. The show has its roots in the Middle Ages, recreating a ritual of purification linked to the leper hospital that was in the area (formerly the outskirts of the city) and to the chapels devoted to this saint. 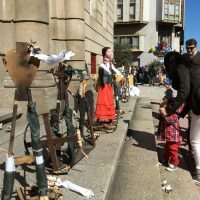 At Easter, the parish groups go in procession to the streets carrying paces, statues of wood representing different religious scenes. 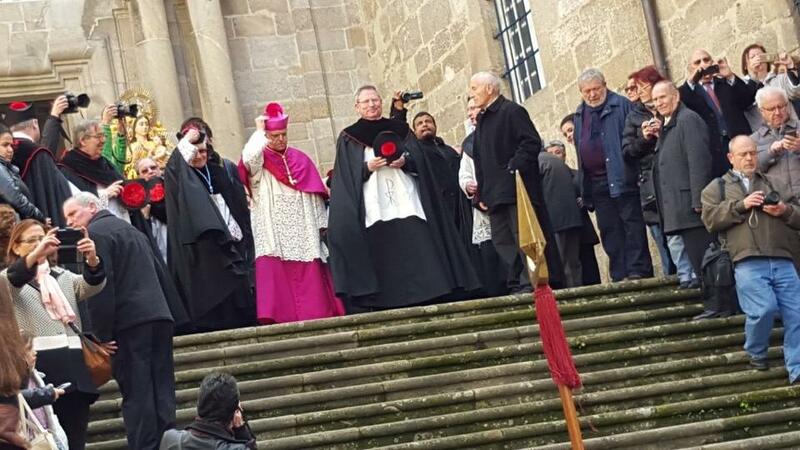 The procession that takes place on the last Sunday of Easter is celebrated in the Church of Holy Mary, Mother of God, in which the Desplante (Ceremony of the Affront) takes place: the council of canons prevent the members of the city council to access the stairs, thus recreating the times of tense conflict between the religious and civil power in Ourense. The feast of the nature par excellence, announcing the splendour of the flowers and the farewell of the cold winter. 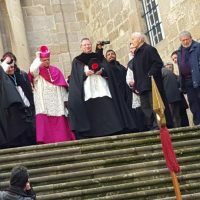 Of uncertain origin, this rite is celebrated since very remote times in several places of Galicia, although in Ourense it has remarkable and singular characteristics, besides being a local holiday. On that day, handmade sculptures of moss and flowers occupy the Alameda central promenade displaying traditional (pyramidal) or figurative shapes, always accompanied by songs: satirical verses on current issues that are traditionally sold in exchange for a tip. 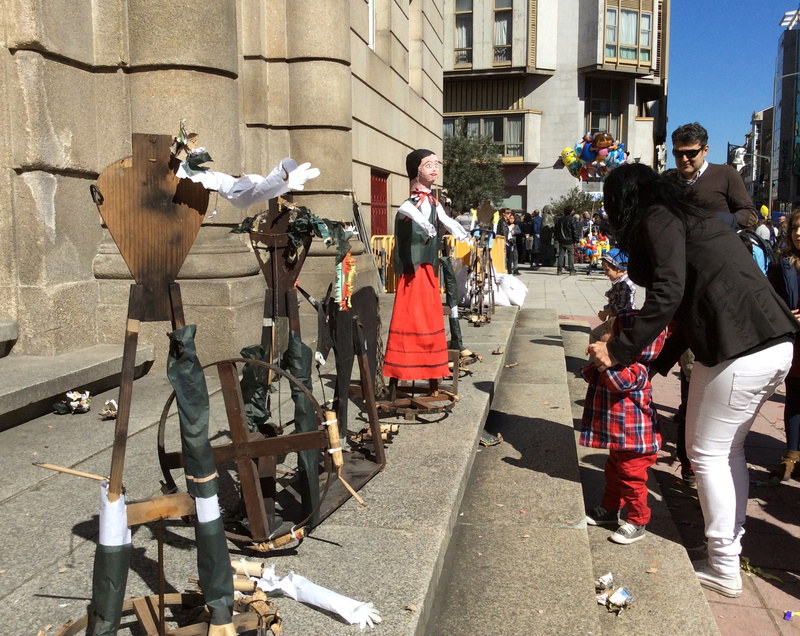 Maios have been declared a Fiesta of Tourist Interest in Galicia. 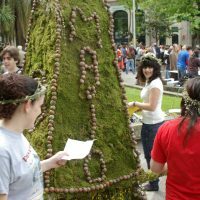 Although Ourense does not celebrate its patron’s feast until autumn, the Festivities take advantage of June’s warmer weather and the celebration of Corpus Christi, a very traditional feast here. 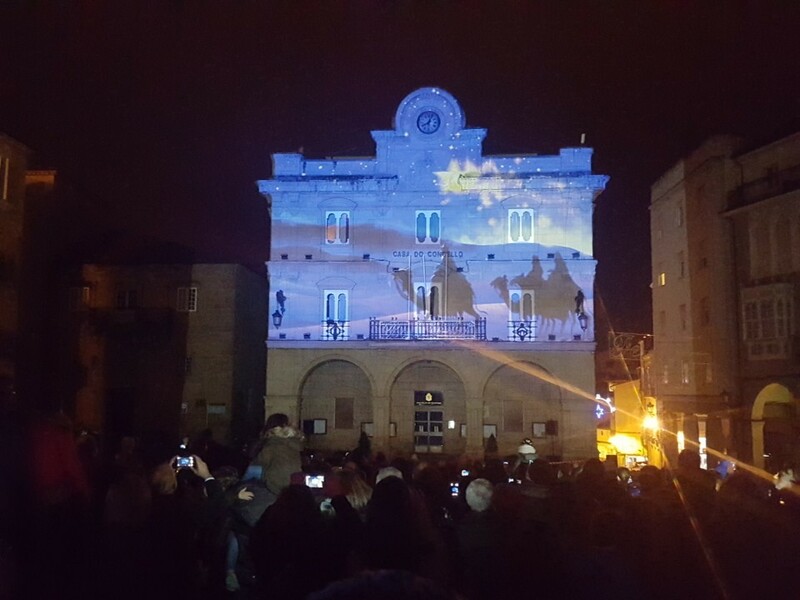 There are two weeks of festival in the city with non-stop activites: orchestras, concerts, parades, sports, children’s activities … The fireworks of its closing ceremony are indispensable, and for the most daring ones, the classic Ourense Rallye. 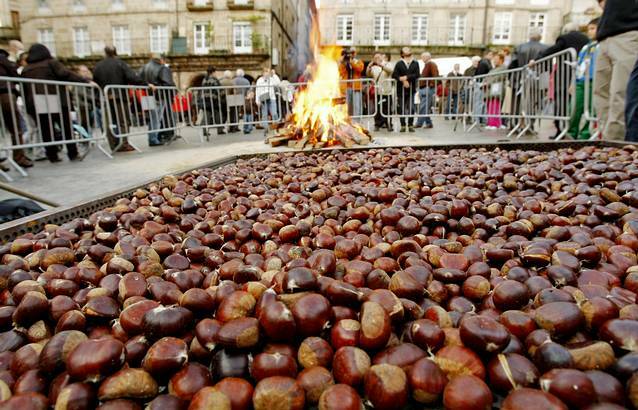 The feast in honour of Saint Martin of Tours, patron of Ourense, announces the arrival of the popular Magostos, in which groups of friends and family gather around large bonfires to roast the first chestnuts and try the new wine. The party lasts all day and part of the night, always seasoned with roasted sausages, songs and a final toast with queimada, evoking ancient rites of purification. It is common to celebrate the Magostos in the mountains surrounding the city, especially Montealegre, although the urbanites can always go to the big bonfire that the City Council organizes in the Alameda Park. 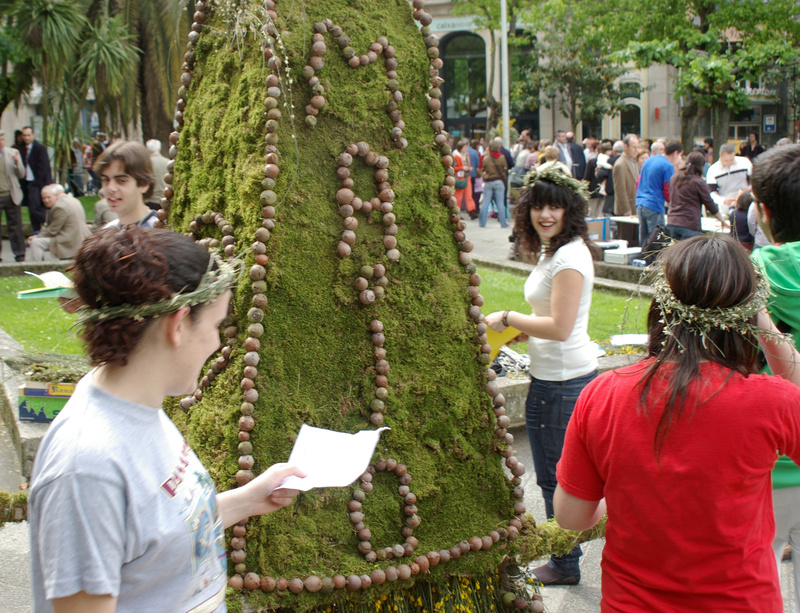 Because of its wide roots, it is declared Fiesta of Tourist Interest in Galicia. 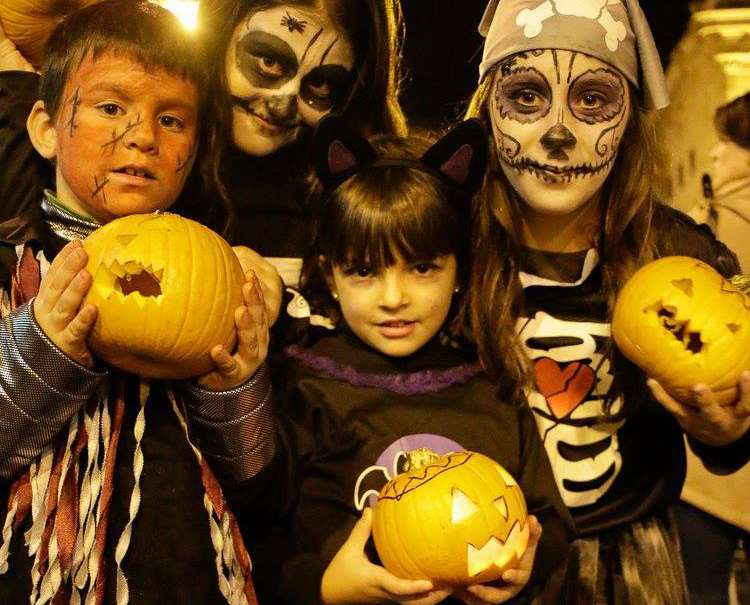 The longest night of the year is celebrated in Ourense with a parade of pumpkins illuminated with candles through the streets of the Historic Centre. Although its best-known version is American Halloween, the truth is that Samhain is a feast of Celtic origins (in agricultural terms, the farewell of the long days of the summer) that in Galicia has been celebrated for centuries, although it was about to get lost. 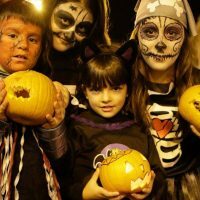 For some years in Ourense it has been celebrated with new forces, with workshops where girls and boys prepare the pumpkins with which they will then parade dressed as skeletons, ghosts, witches, etc. The celebrations extend all night and, as during Entroido, the disguises abound, as dark as possible.